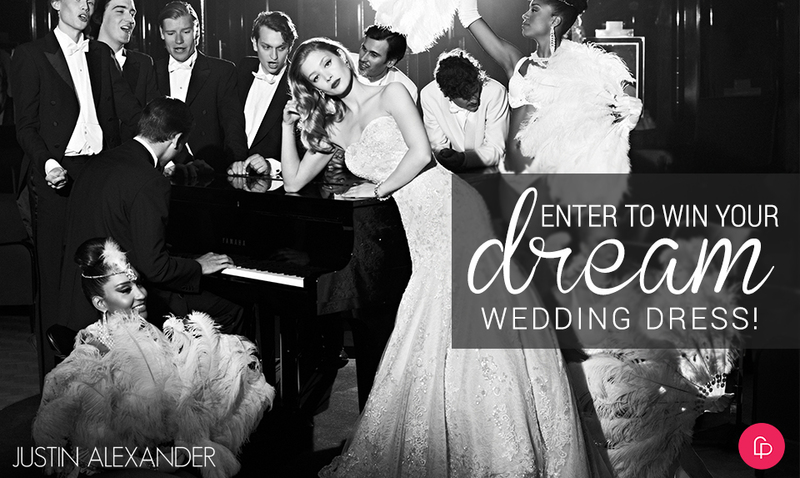 Enter To Win A Justin Alexander Wedding Dress! The Justin Alexander 2016 Collection features vintage-inspired wedding dresses that make every bride feel confident, sophisticated and glamorous. Enter now for a chance to win a stunning gown of your choosing from the Justin Alexander Collection. Giveaway ends September 30, 2015. Winner announced October 9, 2015. Complete entry options below to receive additional entries. Approximate retail value of prize: $3,998. By submitting, you agree to the Giveaway Terms & Conditions.